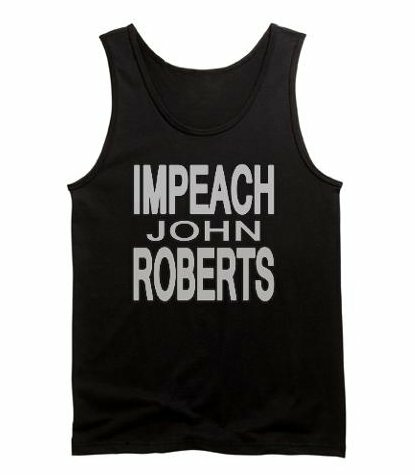 The movement to impeach John Roberts is gaining steam. An Impeach John Roberts page was just created on Facebook. The process is similar to impeaching a president, like Democrat Bill Clinton. The impeachment of a Supreme Court justice takes the same process as impeaching a president. The House of Representatives would impeach a justice, and the Senate would hold a trial on whether to convict and remove the official from office. Officials can only be removed from office after impeachment and conviction of “treason, bribery, or other high crimes and misdemeanors,” according to the Constitution. This comes after the Chief Justice’s nonsensical healthcare ruling last week.